This book has gotten mixed reviews. I can see why- having strong lead characters is incredibly important for a fantasy novel. For the first half of the book- I didn't find Tess incredibly likable. Although she made some mistakes, I never really felt like she geniunely felt angst about it. I will say, though, that I think that the characters really do start to develop halfway through the book. I was glad I stuck with the book, I really did enjoy it. Once I started having answers about Tess, Garth, and the company Tess is keeping- I thought the book took a turn for the original and great. There needs to be more fun and creative fantasy novels about dragons, and I am so glad this one exsists! This book had a complete and satisfying ending- it was the kind that made me give a happy little sigh as I finished the book. The fairies and dragons really take the mainstage in this book- don't let the synopsis fool you- this isn't a witch book (like other recent reviews I have done). 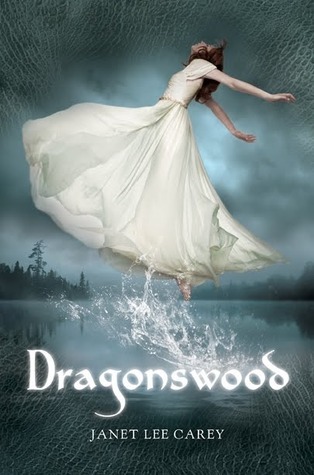 If you are a fan of fantasy, fairies, dragons, and a good adventure and love story- you will enjoy this book! And i loooove the cover.